Our Magnum Peak E-Bikes make the hills disappear and give you the extra oomph needed to enjoy you ride along the Waikato River Trail. 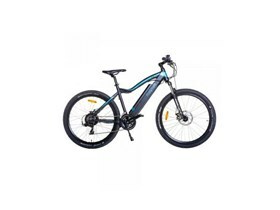 The Magnum Peak is the latest electric mountain bike from one of America’s leading e-bike brands. The Peak brings 48V of power to conquer any hill. With a lockout fork, hydraulic disc brakes and a huge 624wh battery.